This morning Native Instruments introduced a new device in the Maschine line called the Maschine Jam. This new device is perfect for performances and setting up grooves using the built in sequencer. The Maschine Jam sports a 64 Pad section, touch strips for control, and many more features. Check out the press release and intro video after the jump. 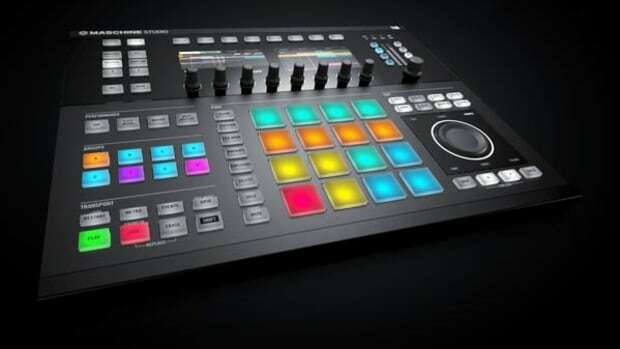 This morning Native Instruments introduced a new device in the Maschine line called the Maschine Jam. This new device is perfect for performances and setting up grooves using the built in sequencer. The Maschine Jam sports a 64 Pad section, touch strips for control, and many more features. This is a nice rival for the Ableton style controllers that DJ&apos;s use to make new music as well. The Maschine Jam will come bundled with Maschine 2.5 software and Komplete 11 Elements as well. The Maschine Jam can also integrate and work with other Maschine and Komplete hardware and software making it more powerful than ever. We&apos;ll definitely get one of these in the lab for the full review as we&apos;ve done with all the other Maschine and Komplete hardware. For now Check out the press release and intro video below for more. The New Native Instruments Maschine Jam has now been officially released to the public we have our review unit here and we're ready to roll! The new Maschine Jam is perfect for performances and setting up grooves using the built in sequencer. The Maschine Jam sports a 64 Pad section, touch strips for control, and many more features. Check out the new Native Instruments video showing exactly what these new smart strips can do. The New Native Instruments Maschine Jam review unit here and we're ready to roll with the full out review! 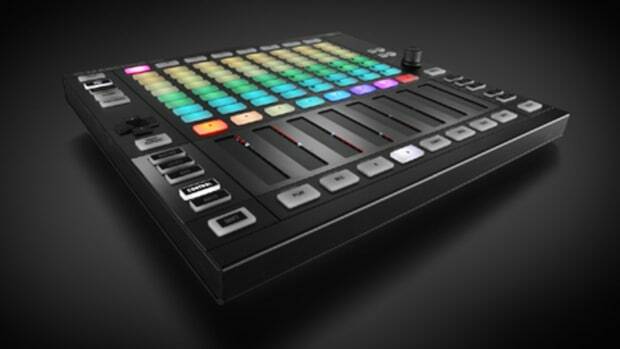 The new Maschine Jam is perfect for performances and setting up grooves using the built in sequencer. The Maschine Jam sports a 64 Pad section, touch strips for control, and many more features. Check out the quick unboxing and first impressions video while we work on this review. The New Native Instruments Maschine Jam has now been officially released to the public and our review unit is on the way! The new Maschine Jam is perfect for performances and setting up grooves using the built in sequencer. The Maschine Jam sports a 64 Pad section, touch strips for control, and many more features. Check out the press release and pricing info after the jump. The MASCHINE JAM review is currently under way, but NI has released a few new videos showing users of the new JAM exactly how they can control their DAW and work perfectly along side the KOMPLETE Keyboards. Check out the videos after the jump. Native Instruments has just announced their new flagship Production hardware, the Maschine Studio, and new software called Maschine 2.0. The new Maschine Studio hardware is even larger than the original and provides best-in-class control with new hi-res color displays, a new edit section with jog wheel, and excellent 16-multi-color backlit pads. The Maschine 2.0 software provides lots of improvements to the user interface and works better and faster on all three Maschine Production devices. The Maschine software has just updated to the 2.6 version and it features many helpful upgrades that make the music creation experience even that much more simple and enjoyable. Native Instruments has released a few new videos to show users how they can take advantage of the new features using both the Maschine Jam and the Maschine Studio. Native Instruments has just updated the Maschine Software for their popular beat-making devices. This new iteration is Maschine 2.6.6 and it allows users to reorder, drag & duplicate groups and scenes to make for an easier user experience. Maschine 2.6.5 Update With Ideas View! Native Instruments has just updated the Maschine Software for their popular beat-making devices. This new iteration is Maschine 2.6.5 and it comes with a brand new feature called Ideas View. This gives users a new view for mixing and matching patterns independent of the timeline to try out new beats, vamps, and fills to find suitable combinations for the beat you're working on.